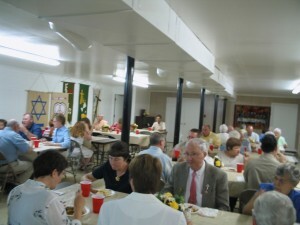 Christian Heights UMC – Page 36 – The blog of Christian Heights United Methodist Church. Where Everybody is Somebody Special! 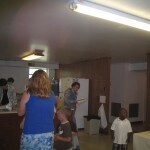 Vacation Bible School is in two weeks, July 25-26. Organizers are still looking for more help. See Tim, Hoge, Lou, or Amy. Jim Bick was taken to hospital due to a worsening infection. Margie Glass reports she is feeling much better since leaving the hospital. Lou Willis will be traveling during the next two weeks. 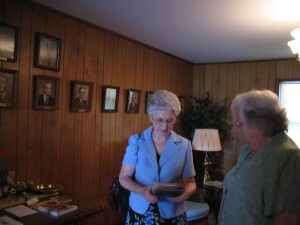 Margie Glass is out of the hospital and attended church today. The Kentucky New Era published this announcement on June 27th. Sermon: Are You a Godly Father? Added Lou Willis’s godson – Gun violence has increased greatly in Jackson, TN. 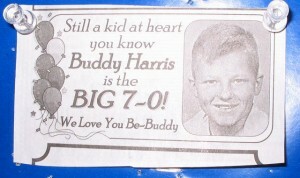 His mom sent him to Hopkinsville for the summer to escape it. 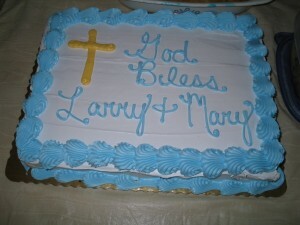 Added Larry/Mary Busch for their move to the new church. 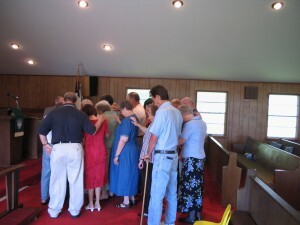 June 7 was the last Sunday with Pastor Larry Busch preaching. 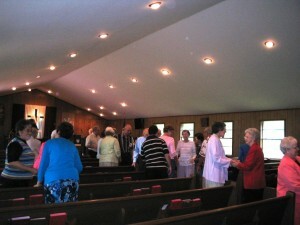 Below are some photos of the potluck after the church service. 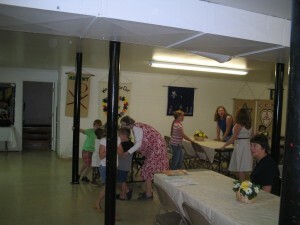 Larry, Mary, and the kids. 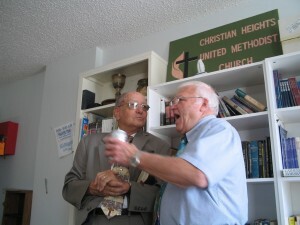 Welcome to the new website for Christian Heights United Methodist Church. There is great potential here I hope it is successful. What is wrong with the old site that you can’t use it? In a nutshell, technology has changed since I created the old site. The old website was labor-intensive to update requiring manual code writing and a slow process of uploading images. The old method required me to resize large images from my camera one at a time and also make thumbanail versions. I have since perfected a method of quickly processing a batch of images on my personal website. WordPress, the software that operates this website, helps a great deal. WordPress allows a broad range capabilites for the future. 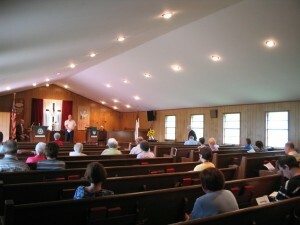 Publishing a podcast of the Sunday sermons is one example. A podcast is audio posted to the Internet that listeners can subscribe to and download to their own portable device.